Whole Foods Market grocery stores are part of a large chain of stores that feature organic, natural, and whole foods. Each store is a full-fledged store with a produce section, deli, a prepared foods section, fresh meat and seafood sections, several aisles of processed packaged foods, and a frozen foods section. Whole Foods Markets offer several brands, but they also have their own store brands under the names Whole Foods Markets and 365 Everyday Value. As with any other brand, the nutritional value varies from product to product. Clearly, fresh products are best, but sometimes you need something easier and more convenient. 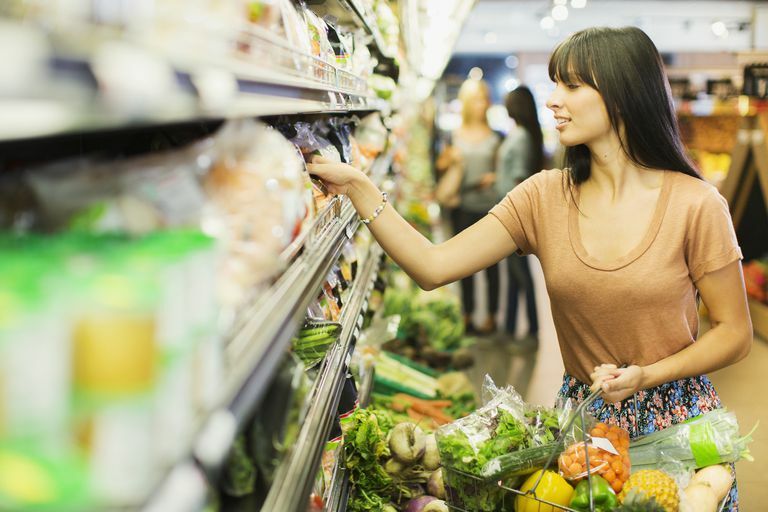 So here's a look at ten healthy processed and prepackaged Whole Foods brands products. Not all processed foods are unhealthy! Soup makes for a quick and easy meal: just heat and eat! The 365 Everyday Value Vegetable Medley Soup is an excellent choice because it's fat-free, high in vitamins and minerals, lower in sodium than most soups, low in calories (just 70 per cup) and offers 3 grams of fiber per serving. A serving is about one cup of soup, but this soup is so good for you, so it's fine to call for seconds. Stir-frying is a smart way to prepare a meal and having frozen stir-fry friendly vegetables ready to go makes it fast and easy. The 365 Everyday Value Stir-fry Blend is made with organic broccoli, carrots, green beans, onions, red bell peppers, and mushrooms. One cup satisfies 8 percent of your daily recommendation for fiber and 2 percent of your daily need for calcium, protein, and calories. That cup of veggies has only 30 calories, too! Serve your stir-fry as a side dish or add chicken or tofu and your favorite stir-fry sauce to make it a meal. Little Mandarin oranges are sweet and delicious, so they're perfect for picky eaters who need to eat more fruit. Fresh may be best, but 365 Everyday Value brand canned mandarin oranges are just as delicious as other brands. Here's the bonus: they're sweetened with a little bit of pear juice rather than plain sugar water. A one-half cup serving has 80 calories and provides 4 percent of your daily need for fiber and iron. It's also low in sodium, has no fat, and has half a day's recommendation for vitamin C.
Do you find you're always running late in the mornings? If so, there's no need to skip breakfast when you can grab a Blueberry Cereal Bar from 365 Everyday Value. Each bar has 140 calories and gives you 10 percent of your daily recommendation of folic acid, 2 percent of your daily recommendations for iron and calcium, and about 4 percent of the fiber you need. It's also low in fat and even has a little vitamin C.
Whole grains are essential for a healthy diet, and 365 Everyday Value Whole Wheat Bread is an excellent whole grain source. One slice supplies 12 percent of your daily need for fiber, 8 percent of your protein requirement, 2 percent of your daily need for calcium, and 6 percent of the iron you need. Use the whole wheat bread to make a healthy sandwich at lunchtime. Fried rice makes for a delicious main meal or side dish, but it can often be high in fat and calories. One cup of Whole Foods Market Vegetable Fried Rice has only 150 calories. It also covers 8 percent of your daily need for fiber, 4 percent of your requirement for iron, no fat, 25 percent of the vitamin A your body needs every day, and a bit of potassium. It's not low in sodium, but Whole Foods Market Vegetable Fried Rice is lower in sodium than many other brands. Sometimes you need a quick and easy appetizer and Whole Foods Market Artichoke, Kale, and Swiss Chard bites are perfect. Just pop them in the oven! One serving is three pieces and has only 70 calories. You'll also get 8 percent of your daily recommendations for calcium and fiber, 20 percent of a day's need of vitamin A, and some vitamin C. It does have a little-saturated fat but isn't high in sodium. All in all, these bites are much healthier than typical high-calorie and high-fat spring rolls, pot-stickers, and other fried, frozen, heat and eat appetizers. Here's a quick and easy pasta dish that only needs a side salad to become a full meal. One cup of the formaggi gives you 14 percent of your daily need for protein, 8 percent of your daily recommendation of fiber, and has about 230 calories, which is actually impressive for a pasta dish—they rarely offer fiber. It also has a moderate amount of sodium and some saturated fat, but much less than many other brands of ready-to-eat pasta dishes. Sure, you can find all kinds of granola (or maybe even make your own, like this gluten-free coconut granola or this almond and buckwheat applesauce granola) but what sets this box apart is that it's a good source of omega-3 fatty acids. It's not low in calories (one-half cup has 250 calories), but it has 20 percent of your daily need for fiber, 10 percent of your daily recommendation for iron, and has some calcium too. This granola is perfect for a hearty breakfast or sprinkled on top of some plain Greek yogurt. This snack is perfect when you have a craving for chips but don't want all the grease and calories. One serving, or about 25 pea crisps, gives you 20 percent of your daily need for fiber, 6 percent of the iron you need, is low in fat and has only 110 calories. It's also lower in sodium than most snack chips. They're perfect to eat alone or served with a light veggie dip. There are a number of reasons why a consumer may choose Whole Foods Market products, and it's important to know that just being sold under the Whole Foods Market label doesn't automatically mean the product is healthy. It's essential to read the ingredients lists and the Nutrition Fact labels and keep in mind the number of servings per package. As with any brand of processed, prepackaged foods, you'll need to look for products that are low in fat and calories, nutrient-dense, high in fiber, and made with healthful ingredients. Words and phrases such as GMO-free, gluten-free, vegan, vegetarian, cruelty-free, no high-fructose corn syrup and no artificial preservatives don't mean the food is automatically more nutritious. Always read the labels when you shop to make the best choices.